Relevance feedback (RF) has long been an important approach for multi-media retrieval because of the semantic gap in image content, where SVM based methods are widely applied to RF of content-based image retrieval. However, RF based on SVM still has some limitations: (1) the high dimension of image features always make the RF time-consuming; (2) the model of SVM is not discriminative, because labels of image features are not sufficiently exploited. To solve above problems, we proposed robust discriminative extreme learning machine (RDELM) in this paper. RDELM involved both robust within-class and between-class scatter matrices to enhance the discrimination capacity of ELM for RF. Furthermore, an angle criterion dimensionality reduction method is utilized to extract the discriminative information for RDELM. Experimental results on four benchmark datasets (Corel-1K, Corel-5K, Corel-10K and MSRC) illustrate that our proposed RF method in this paper achieves better performance than several state-of-the-art methods. This work was supported by National Natural Science Foundation of P. R. China (61173163, 61370200) and China Postdoctoral Science Foundation (ZX20150629). Cao, J., Huang, W., Zhao, T., Wang, J., & Wang, R. (2015a). An enhance excavation equipments classification algorithm based on acoustic spectrum dynamic feature. 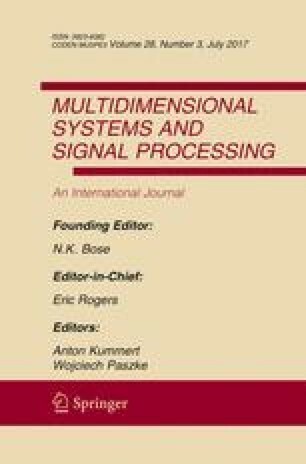 Multidimensional Systems and Signal Processing. doi: 10.1007/s11045-015-0374-z. Cao, J., & Lin, Z. (2015). Extreme learning machine on high dimensional and large data applications: A survey. Mathematical Problems in Engineering. doi: 10.1155/2015/103796. Zhang, P., & Yang, Z. (2015). A robust AdaBoost.RT based ensemble extreme learning machine. Mathematical Problems in Engineering, 2015, 260970. http://www.hindawi.com/journals/mpe/2015/260970/cta/.